Have you experienced Ambassador RV? Help others learn about this company by sharing your first-hand information with other road-trippers. Ambassador RV, with a branch in Delta, BC. is a small yet reputable company, offering rentals, sales, and services. 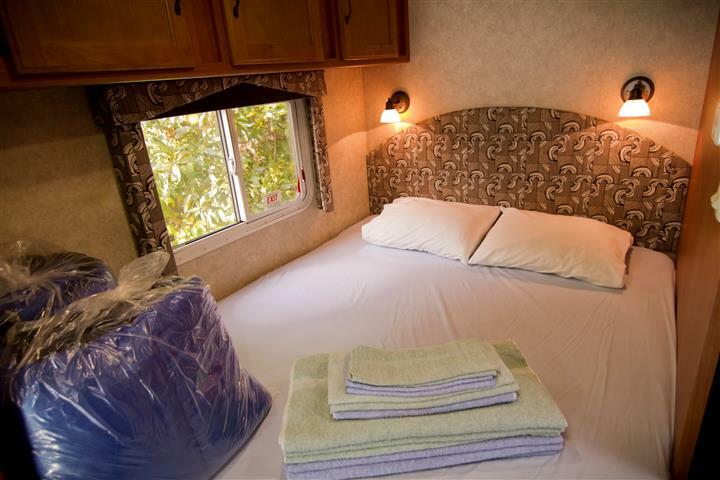 Tailored with fair and competitive pricing, all rental units are Class C motorhomes that accommodate 5 to 6 people. 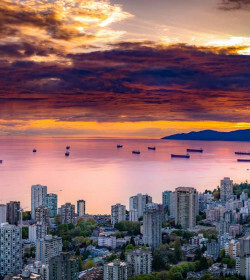 This motorhome rental, sales, and service company is situated near the YVR Airport and BC Ferries Terminal so that customers don’t need to stress out looking for their office. Not only that, the branch is approximate to the US/ Canada border. With a minimum of 7 days rental, Ambassador RV offers airport transfers at a slight preparation fee that already comes with toilet chemicals and paper as well as the first supply of propane. 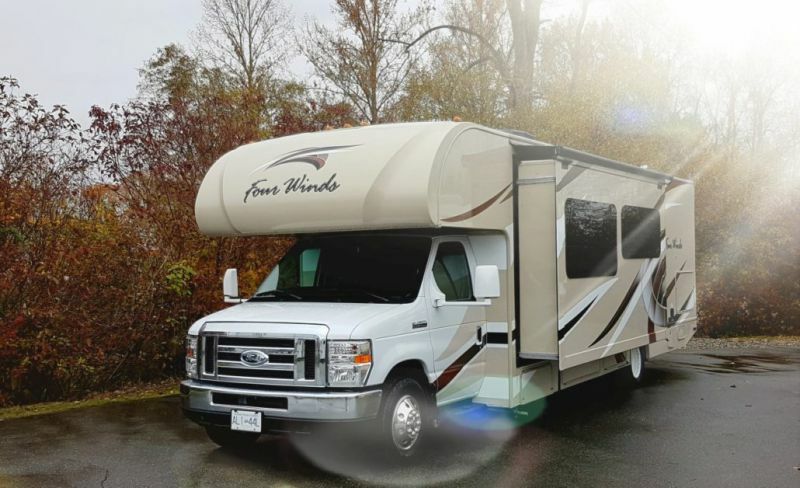 The limited rental fleet is all Class C Motorhomes, with or without slides. They only have three RV types that cater to families up 6. These units are quite new, with a maximum of 4 years age model. They do not allow pets inside the motorhomes, and you need to pay for the convenience kit that features kitchen utensil, dishes, bedding, towels and the like. Dubbed as the basic motorhome at 23’ with no slide, this Class C surprisingly has a capacity of up to 5 people. 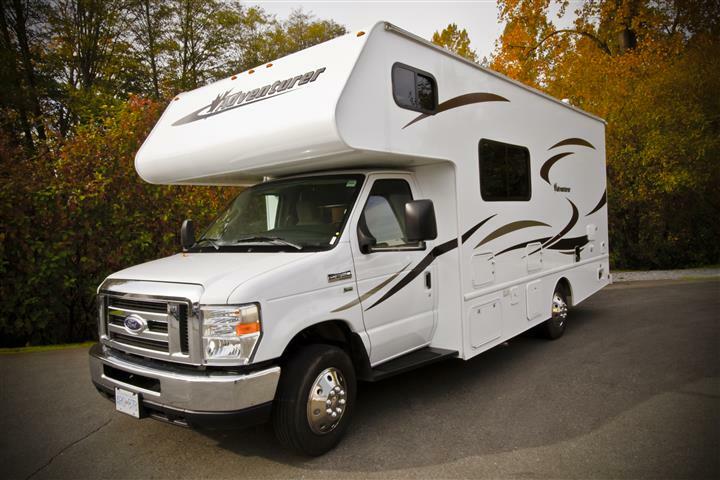 There may not be enough room for dancing or doing your exercise, but it is equipped like a normal RV should have. You’ll get some basic yet functional facilities, including a kitchen, bathroom, dinette, and bed areas. 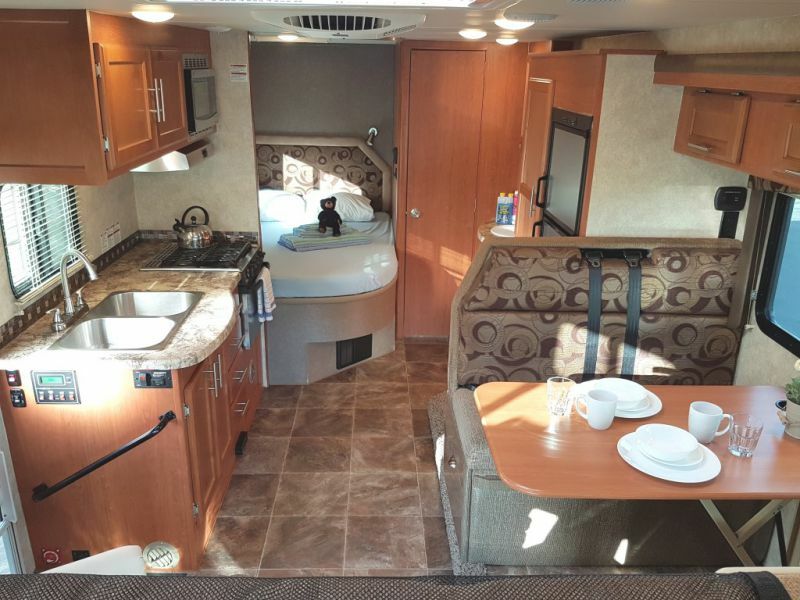 The 25’ Class C with one slide-out also provides an accommodation of up to 6 people. If you want just the right amount of space (not to mention, budget), then you’ll be getting a great deal from this RV. 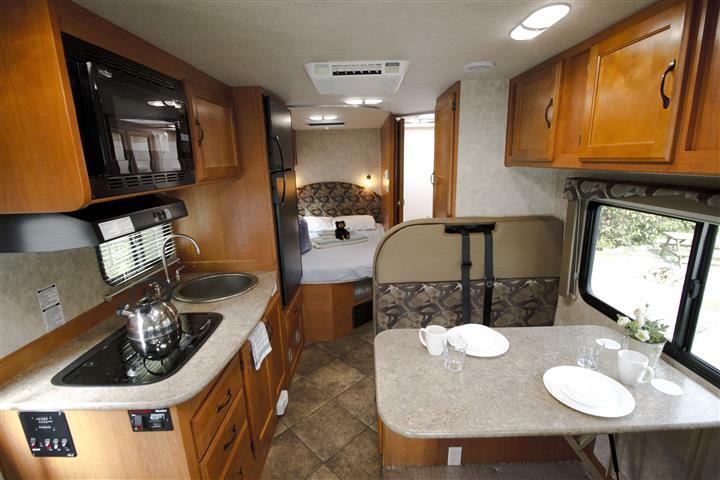 The dinette area becomes a sleeping place for two, while other sleeping options are at the cabover and rear area. 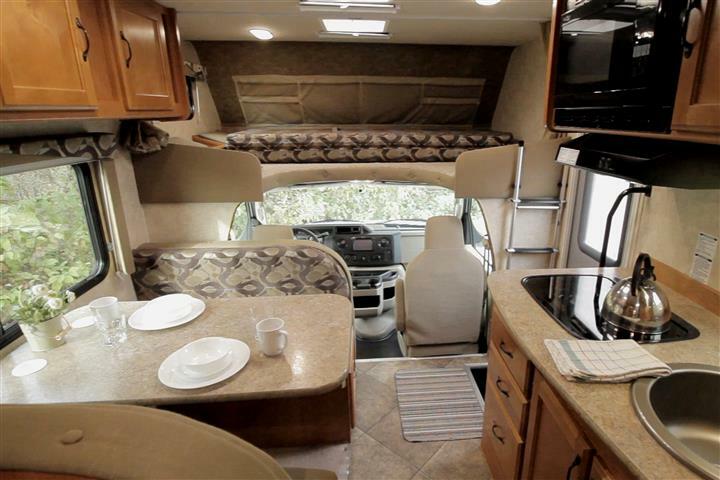 The perfect option for a family of 6, this 31’ RV offers two slides to make the interior more comfy and homey. 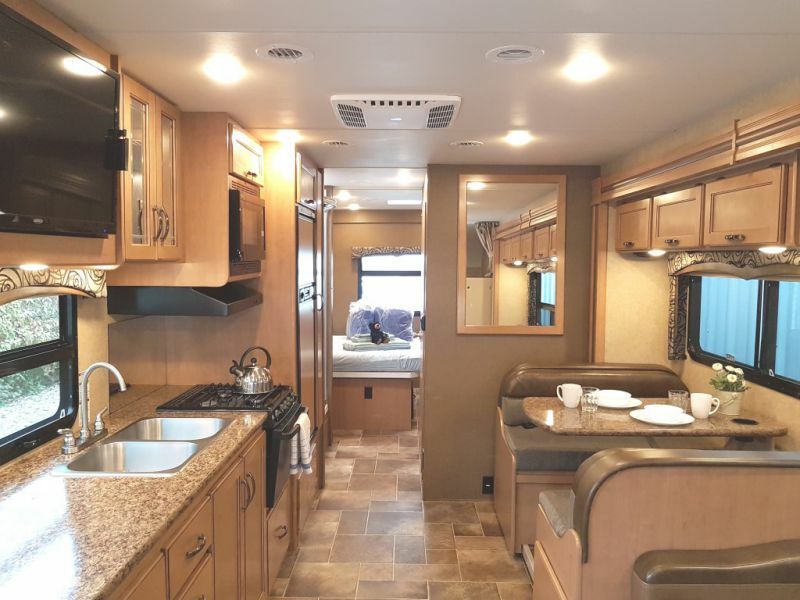 Though floor plans still vary, the motorhome has 4 sleeping beds―cabover double bed, rear queen bed, and single beds from both dinette and sofa. Normally, the bathroom comes with a separate shower and toilet, while the entire kitchen is positioned on one side. Basic insurance included in the rental rate is a maximum of $5,000 per occurrence. If you avail of the 25/day CDR (Collision Deductible Reducer), you will reduce the basic insurance to a max of $500 per occurrence. CDR payment can be through credit card imprint. Modern, well-equipped vehicles, fair prices, and helpful staff―these are just some of the things to expect from Ambassador RV. Though all of the RV rental options are Class C motorhomes. Still, you’ll get every comfort of home during your road trip. Plus, there is no long waiting period during your check-in, adding up to their good reputation. 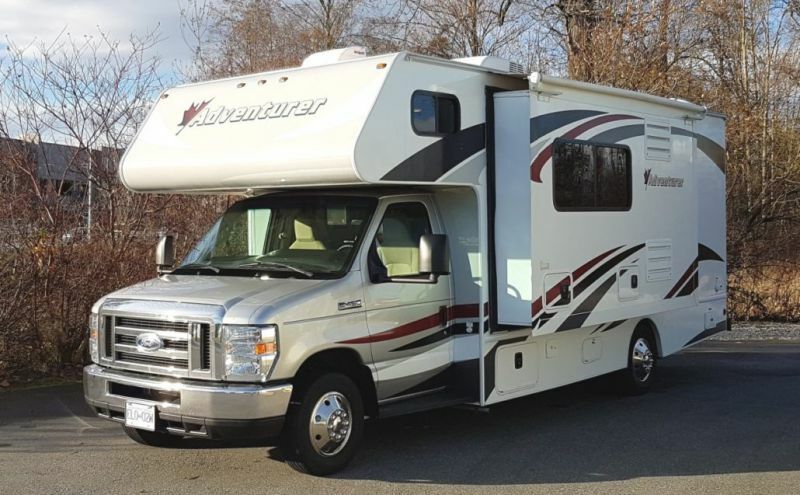 Ambassador RV could nicely represent a good RV rental company in Canada with their fleet of quality Class C motorhomes at good prices. Have you experienced Ambassador RV?